Running Railway Heritage with a steam whistle. 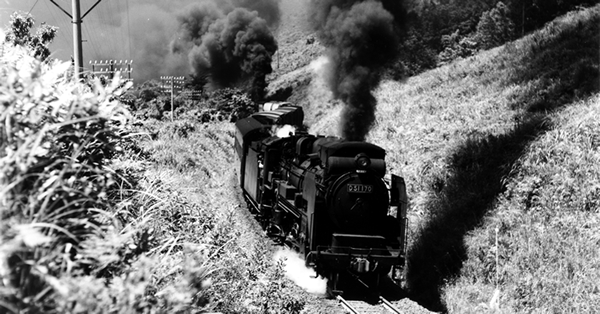 The Railways Bring you dreams,move your hearts even after a century with a nature scenery. Let’s get going on a journey of the Hisatsu Line Railway heritage. When Japan was plunging into modernization, the railway system became an artery connecting various regions. It connected people and communities by passing around steep mountains and through valleys. Our passionate predecessors studied abroad and challenged new technologies. The Hisatsu Line preserves the features of that glorious age. The features include an iron bridge made in New York and Okoba station, the only Japanese station where a spiral line and switch-back system can be experienced. The magnificent panorama is counted as one of the three most beautiful views from a train window. Not a few station houses still in use remain as they were 100 years ago. The various locations preserved along the railroad line are our precious historical heritage. The Hisatsu Line is a heritage railway filled with these appealing points. After one hundred years, the Hisatsu Line is basking in the limelight again. If you are interested in our heritage, please come and experience the living railway museum here. 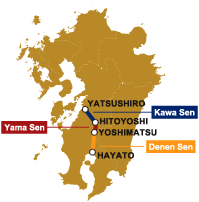 Why not visit the Hisatsu Line now?